Every day I have woken up loving or hating -next 0rder-, and every night I have gone to bed feeling the opposite. 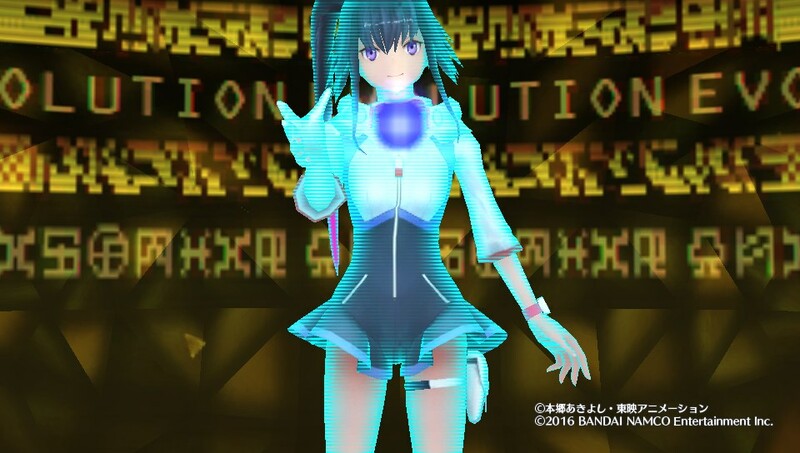 Digimon World has no ending. It ends when the player finally takes the disk out and doesn't put it back in again. 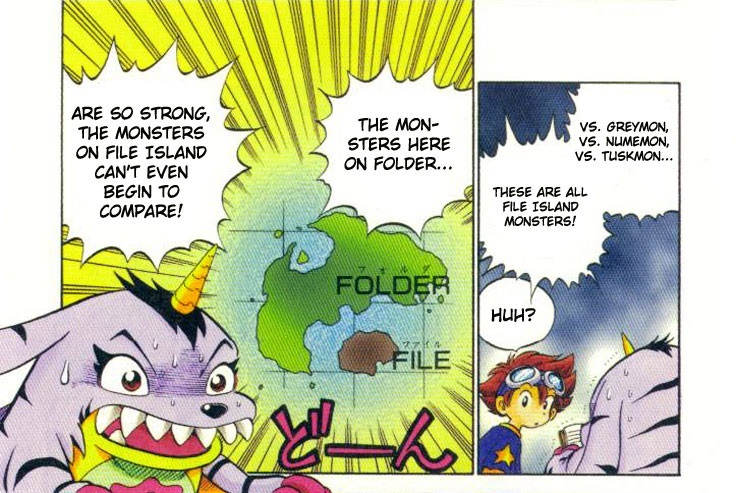 If that never happens, then the game will happily accommodate the player in continuing the adventure forever, endlessly spawning another boss for them to fight every month, periodically reincarnating their Digimon so they can raise a new one, and inviting them to participate in Volume Villa's endless trading card economy. The game's credits theme is appropriately titled No Need For Goodbyes. (さよならはいらない Sayonara wa Iranai.) How does one make a sequel to a game that continues forever? 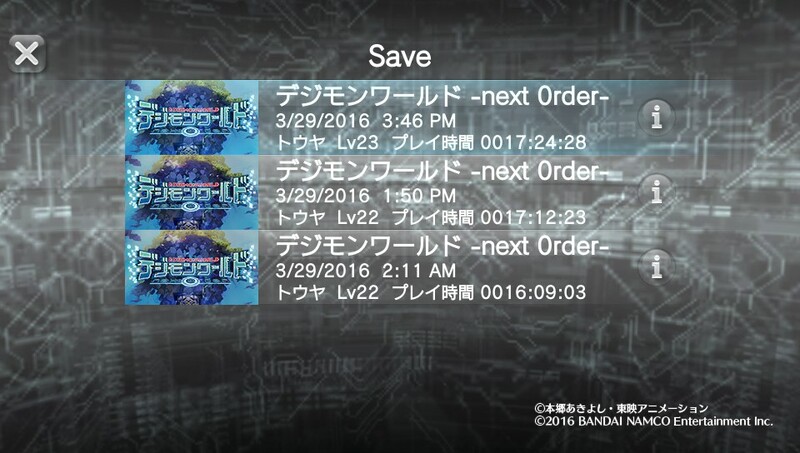 For those that played Digimon World to "completion," the game remains frozen in time at the turn of the century. It's a game that despite extensive hacking, still has mysteries remaining, some of which were only solved recently. Cyber Sleuth took Digimon away from the children and gave it the adults that had grown up with the franchise. 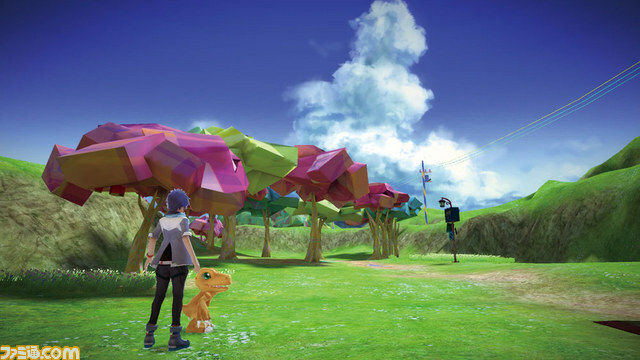 A new Digimon World is the natural step in courting the mainstream adult audience, given its reputation as the globally bestselling and best-remembered Digimon game. -next 0rder-'s team was faced with the daunting task of making a sequel to a game that has been called both a masterpiece and a polarizing cult classic, but this was only half of the team's challenge. 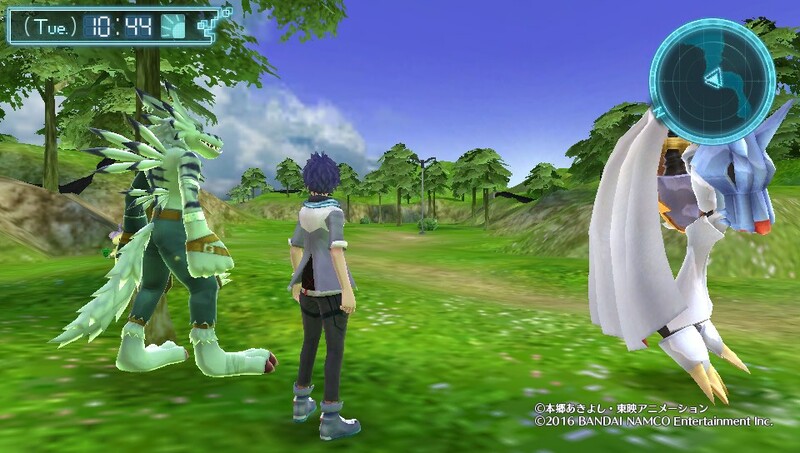 It is not enough to simply modernize the game; Digimon World has to be made appealing to a much broader audience than it once was. The franchise no longer has a massively popular anime series to lean on as a crutch. In 2016 far more weight has been put on a game's critical reception than was placed in 1999, and World performed horribly with critics despite its mass exposure. Even among fans, the game has a very particular reputation--back in his legendary 2011 Let's Play, OFS commented that the game was "a lot of fun" but only with a strategy guide. 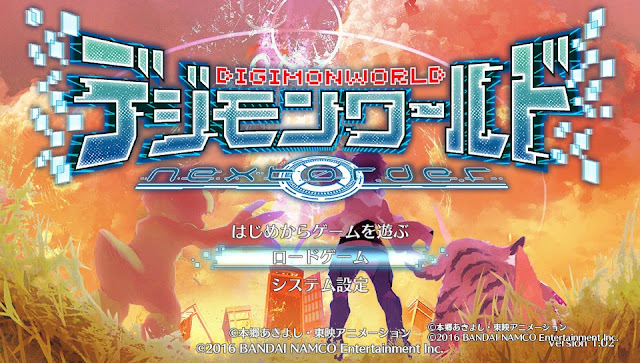 Has the -next 0rder- team succeeded in modernizing Digimon World, and have they made it more accessible to general audiences? These are the questions I am trying to address. One of the first screenshots of the game. Those trees are replaced with normal ones in the final product. Those that only recently came into the franchise are likely unaware of just how mainstream the first World was. For many it was both their first and last Digimon game, having come out at the height of the franchise's popularity when the brand could still appear in The New York Times and have a tie-in with Taco Bell. More critics reviewed World, more consumers bought World, and more kids got lost in World than in any subsequent game. Following games in the franchise weren't subject to the same level of mainstream exposure or cultural impact. -next 0rder- is forced to pull double duty, both inheriting the legacy of World and following up on the overwhelming success of Cyber Sleuth. Those that were watching the game since its announcement will doubtless have mixed reactions. On the one hand, many of the early areas have been polished into structured digital playgrounds that invite the player to run around and explore, at the sacrifice of some of the more unique aspects we initially saw. (The polygonal trees are nowhere to be found in the final release, the ground's internal mapping does not periodically peek out as in some early shots, and the traffic sign motif is absent from the Nearby Meadow.) On the other hand, it's clear that this is a game which looks a lot better on Bandai's production emulator than it does on an actual Vita. 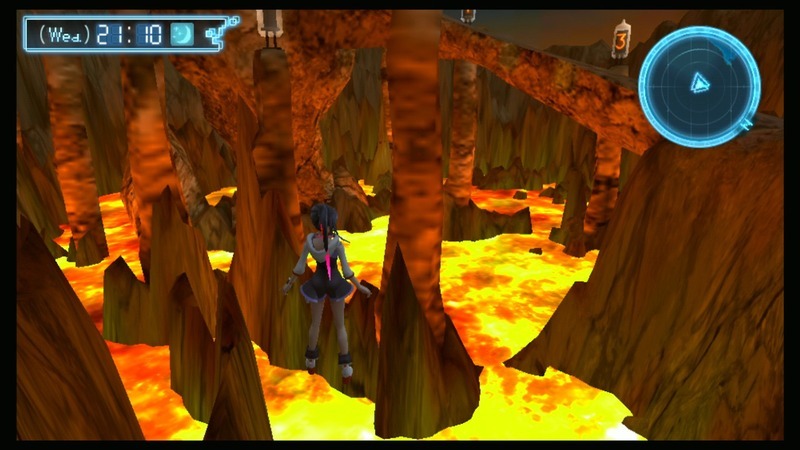 The same area in the final game. There are some of the usual flaws, like the cutscenes containing far more compression on the real hardware than in the TV commercials, but there's also more alarming problems like the poorly made character models, numerous bugs, and visual failures that weren't ironed out between July 2015 and March 2016. Takuto/Shiki still float on air when running over anything other than a completely flat surface. Certain sections of the Nearby Meadow and MOD Shop Cape have lighting improperly set so that a character model becomes pitch black when it passes through that section. Enemies tend to spontaneously float on air if there's any nearby obstacles when a battle starts. These things could have been addressed with more serious bug testing, and subsequent patches have attempted to iron them out, but as of Ver. 1.02 the list of bugs given further down is far from being fully resolved. This gives a new meaning to "Black Were Garurumon." The blue streak in Takuto's hair and the pink streak in Shiki's don't turn black though. The music in -next 0rder- is everything that the rest of the game should be, which is remarkable coming from artists with so little exposure. Music composition and arrangement was handled by Kishi Toshiyuki (岸利至), while sound direction was by Ariba Takaaki (有馬孝哲), both being relative unknowns who hadn't worked with Digimon previously. Unlike Cyber Sleuth, -next 0rder- never gives you the chance to get tired of its soundtrack, which comprises both day and night versions for every piece of background music. While Sleuth's soundtrack could have fit into just about any cyberpunk game, -next 0rder-'s has an OST that could be said to be specific to Digimon. 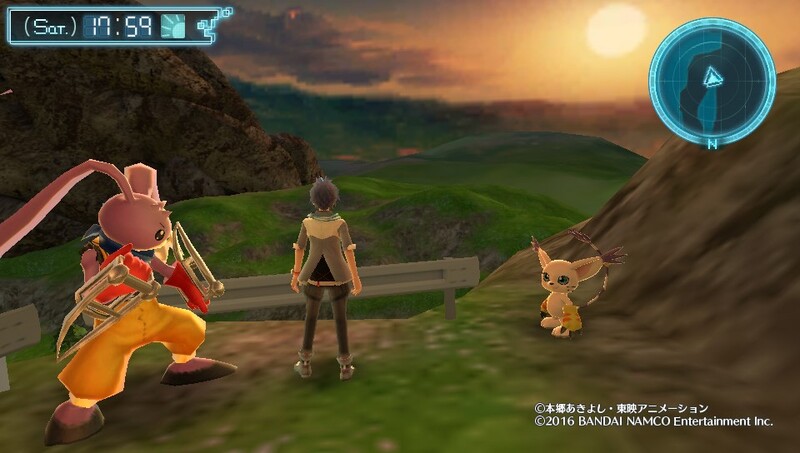 The game builds on the soundtrack of Digimon World, remixing familiar motifs, aurally recreating iconic scenes from the original game, and inviting the player to go beyond them. (Compare Refusal Fight to Refusal Fight ver. "neO.") In the case of two especially memorable tracks, Kishi accentuates the flaws in World's soundtrack by recreating the original last boss theme Digital and Guts! with a live band for several scripted battles, then remixes the same song using the industry refinements developed in the past fifteen years to create a hybrid synthetic rock-chiptune track for the last boss. I got chills going into -next 0rder-'s final fight. On the sound front, many of the effects have been lifted from or based on those found in Digimon World. While hearing the classic Digimon cries has a certain appeal to it, the derived sounds are considerably less pleasant to hear. Especially when Digimon are hungry, they tend to make loud, overlapping bellows, screaming at you for food repeatedly until you give it to them. Ophanimon and Cherubimon throw temper tantrums at me was quite the sight, but also jarring considering that in all other situations they're in a state of total composure. The sound use isn't perfect. Unlike in World the sounds are generally redundant due to how the game spams icons at you. In World you had to wait for your Digimon to roar after each feeding to make sure they were no longer hungry, while in -next 0rder- you instantly know if they're hungry or not based on the icons displayed. 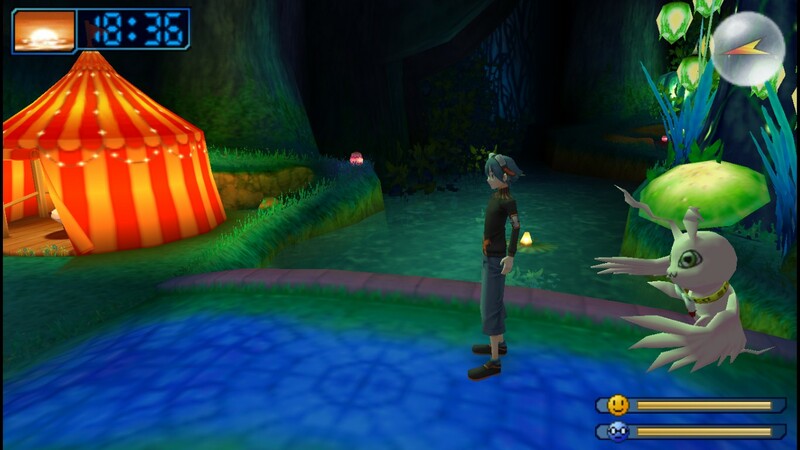 The old method encouraged tamers to pay attention to the in-game characters and not constantly have their eyes on an HUD, whereas -next 0rder- becomes more cluttered by diverting alerts away from the sound effects and towards the menus. Even so, some touches like making the "needs to poop" alert a different sound from "need to eat" or "stressed" are welcome improvements. Graphically -next 0rder- is superior to the previous game, but one has to keep in mind that Decode was an enhanced port of a PSP game and wasn't actually created on current-gen hardware. 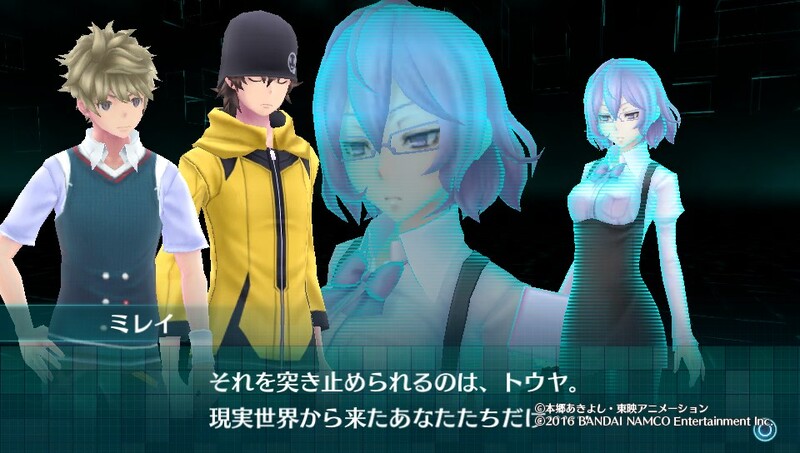 The overall style used is based Decode rather than Cyber Sleuth, yet the game still sees fit to recycle Sleuth's character model for Mikagura Mirei. The only modification made is a filter to convey her "projected" rather than real presence in the world, giving her a Princess Leia "You are my only hope" aesthetic. The recycled model becomes very apparent when you see the Yasuda-drawn Mirei next to a Taiki-designed cast. While on paper it sounds like it could be a good tool to convey Mirei's otherworldly origins, in practice it mostly just looks distracting and lazy. Narrative sequences are told through the same visual novel style as Sleuth, using character models rather than key art to portray expressions, overlaying the cast Fire Emblem-style with ongoing scenes. 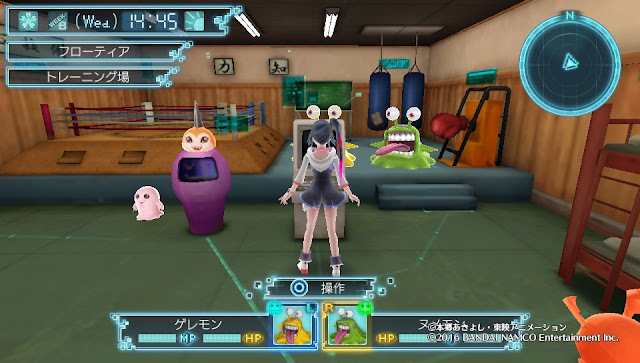 While it worked in Sleuth, in this game it creates a strange disconnect; -next 0rder- is nominally a sequel to Digimon World, but its style of presentation completely contradicts the original game. In World there was no need to abstract the dialogue in the confines of a visual novel, because everything was rendered in-engine. It's hard to believe that you're really talking to the protagonist of World when you're doing it via Cyber Sleuth's interface. When playing, it quickly becomes apparent that a great deal more time was put into the environments the player spends navigating than into the actual character models. This isn't necessarily a bad thing; while the stiff and blocky models don't hold up well in comparison to Sleuth, the fact that the environment was prioritized over the characters demonstrates an understanding of what's important to a World game. 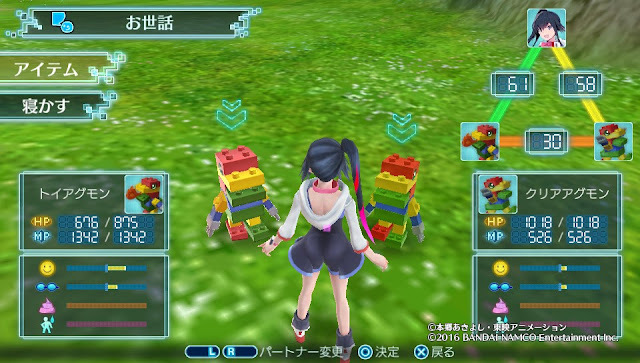 Ultimately, the story is always going to be subservient to the gameplay in Digimon World, and the end result of that is a more enjoyable play experience in which one is let loose to explore. -next 0rder- encourages the player to navigate the Digital World as a kind of tourist, and the environments change beautifully throughout its internal day/night cycle. I could spend hours just watching the lava flow at Logic Volcano. 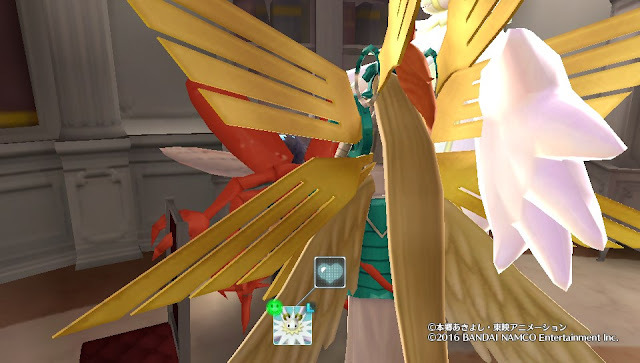 The Digimon models are for the most part recycled from Sleuth with different shaders and new animations. The most obvious example is probably Alphamon, who has the exact same holes in their cape as in Sleuth. There are only 49 new Digimon, of which 29 are recolored Sleuth models, meaning there are only 20 totally new ones; Jyarimon, Zerimon, Kokomon, Pitchimon, Yuramon, Gigimon, Gumimon, Chocomon, Gumdramon, Shoutmon, Turuiemon, Arresterdramon, Omega Shoutmon, Agnimon, Susanoomon, Omegamon Zwart D, Armagemon, Dukemon Crimson Mode, Maicoomon, and the final boss. The rendering style will probably look dated a few years down the line, much as the lack of stylization on Re:Digitize's Digimon models quickly turned them archaic by comparison to more recent games. The presentation is nowhere near as timeless as World's deliberately cartoony proportions, or Sleuth's cel shaded aesthetic. The meat of any World game is the gameplay rather than the narrative. -next 0rder- made some critical revisions to the raising and battle system that have the potential to make or break the experience. The fact of the matter is, the World series is at odds with the monster-collection mechanic. The original Digimon World featured only 61~64 playable Digimon out of then-195 existing Digimon. Re:Digitize on the PSP featured just 85 out of then-978 existing. Decode on the 3DS upped its count to 156 at a time when there were 986 Digimon. The slow-paced open world gameplay and relatively long lifespans of your Digimon partners, which can't be freely stored and exchanged the way that Pokémon can be, doesn't lend itself to collection-oriented gameplay. It's foolish to try to emphasize quantity over quality in a World game, where the entire experience revolves around a qualitative exploration of the Digital World, on an adventure in which one is isolated from both normal human contact and environments in which collection is socially relevant. -next 0rder- tries to emphasize the same kind of collection-style gameplay as Digimon Story Cyber Sleuth despite having a smaller roster (219 including secret Digimon versus post-DLC 249) and longer exchange time to work with. The dual partner system allows Digimon tamers to raise a much greater variety of Digimon simultaneously than they could in past games, while their synchronized eating, sleeping, and toilet habits ensure that the level of attention required for care remains the same. Unfortunately, this collection-oriented gameplay doesn't complement the rest of its components. 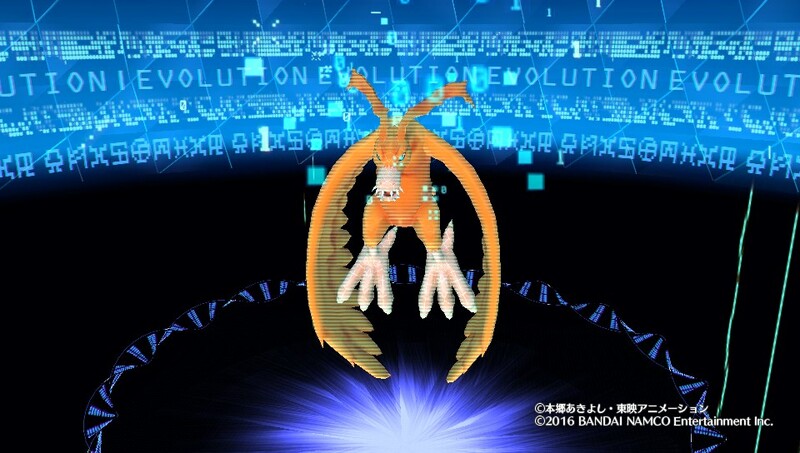 The requirements for evolution guarantee that a significant portion of any given Digimon's lifespan is going to be spent training it to meet those requirements. The end result of that is that tamers spend comparatively little time with each of their partners' individual stages compared to their final forms. Once my Tailmon and Lopmon evolved to Angewomon and Andiramon, they evolved again within thirty minutes due to how much of the in-game clock had to be spent on training. You spend far more time with the Child and Ultimate stages of your partners than with their Adult and Perfect stages. This skews the system towards giving you overwhelming strength in sudden bursts, at which point you begin to thoroughly dominate the storyline enemies, which are all significantly underpowered by that point. There are some welcome modifications to the raising system. Instead of being able to praise or scold your Digimon at will, your Digimon will prompt you to interact with them at specific points, like when leaving the gym after a training session or after so many battles. Every time that you praise or scold them, you're given a random hint for one of their next stage's evolution criteria, which is permanently stored in that Digimon's evolution history menu. You can grind with this feature by fighting a lot or by leaving the gym after each training session to try to trigger a praise/scold prompt, and grinding it will let you learn all of their possible evolutions and requirements. This makes it much easier to play the game without a guide, though you'll never get quite the same esoteric experience as in the first World, filtering through tens of different guides across web and print platforms to pin down the correct information. On the whole, -next 0rder- makes a lot of necessary simplifications but also becomes a little too easy. The game barely bothers to fight back. Two heads are only better than one when they aren't clipping through each other. The staff have seemingly not taken into account that many tamers may not want to raise more than one Digimon at a time. Digimon is not Pokémon; one of its longstanding conceits is the idea of "one partner, many forms" in which a single allied Digimon grows and evolves into countless stages across multiple lifetimes. It's for this very reason that the Story series does not sit well with some veteran fans, as it encourages using as many as eleven Digimon at once rather than a single loyal partner. In the same breath, -next 0rder- isn't isn't exactly visiting new territory. Digimon has always flirted with the idea of multiple partners. In the first series of virtual pets, owning multiple devices was encouraged to rack up high win ratios for evolution (multiplayer was the only battle mode) and it was somewhat more appealing than the alternative option--having friends that could battle (and lose) frequently. The Twin pet on which -next 0rder- is based outright required tamers to raise two Digimon for full functionality. In the various anime series, Wallace in Adventure 02 and Amano Nene in Xros Wars are both known for having two partners at a time. But while Digimon has indulged this idea before, -next 0rder- marks the first time that a "core series" World game presenting itself as a continuation of Digimon's virtual pet origins has required tamers to use a dual partner system. There's no option to have a single partner, and that's bound to alienate fans who grit their teeth through Sleuth waiting for a less crowded game. Unlike in Sleuth, you can't turn off your partners' visual representations in the field for functional reasons, which leads to decreased visibility, a crowded screen, and frequent camera glitches owed to the game's free-moving (as opposed to CS' fixed) camera. It's also clear that while the game is trying to appeal to fans of the monster-collecting genre, -next 0rder- is simultaneously desperate to mine fans of the Digimon anime series for sales. The majority of the roster is composed of iconic anime Digimon rather than classic series mainstays. Almost one-third of the original World's playable roster is missing from the game, and the more "punk" designs of years past like Gesomon or Andromon are nowhere to be found. Obscure alternative Digimon like Ex-Tyrannomon, Devitamamon, or Raidenmon were passed over in favor of palette swaps. -next 0rder- practically forces the use of anime Digimon by always giving them the highest priority in any given evolution tree, and through the way it applies the bonus condition that favors evolutions to certain Digimon. This bonus condition has existed in past World games. It checks to see if a tamer's current partner is a specific Digimon, and if the answer is "yes" it favors an evolution to whichever monster has that bonus condition. (A less obtuse explanation; if you have Guilmon as your partner, you get +1 point to evolving towards Growmon even though Guilmon can also evolve into Red V-dramon, because Growmon has "is Guilmon" as a bonus condition.) But in the original World, this condition only applied to a few evolutions from Child to Adult, and other evolution criteria could be effectively manipulated to ignore it if you really wanted to. -next 0rder- revises the "is X" condition to have a domineering amount of control over evolution, and part of the problem is the lack of specific evolution criteria for all Child Digimon. Those that choose to grind evolution hints will find a curious pattern; Weight, Care Mistakes, and Happiness/Discipline have no influence whatsoever on Baby II to Child evolution. This makes it difficult to get your Digimon partner on an evolution track that will put them on the path you want. Trying to go for certain evolutions like Pukamon > Clear Agumon is impossible because the criteria and priority of evolutions ensures that you'll always get Snow Goblimon or Gomamon instead. The "is X" condition now applies to Perfect to Ultimate evolution as well, which means that at least as far as your first generation of partners is concerned, if you're playing with an anime Digimon then you're forced to run through the anime-specific line. Start with Guilmon? Good luck not getting Dukemon. Start with Plotmon? Hope you like Holydramon. 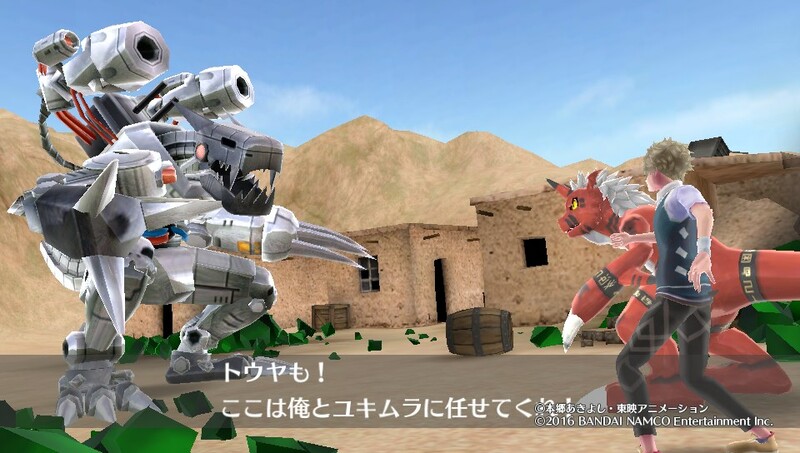 Just to drive the point home further, the game literally has a pair of free DLC Digitama that only evolve into War Greymon and Metal Garurumon. They only evolve down their corresponding anime lines, with no branches. This is frustratingly close to Pokémon's model. Those looking for a Digimon game which is predictable and consistent--a game like Cyber Sleuth, that will allow them to use their favorite anime Digimon--will appreciate these features. Those looking for another game like World will not. Unfortunately, -next 0rder- seems to be barking up the wrong tree. The type of audience that would play the game because of an anime series they watched back in second grade is not the type of audience whose first inclination will be to hit the gym with their Digimon partners, which remains a necessary component of gameplay if you don't want your Digimon to die unevolved. Toy Agumon and Clear Agumon. Not pictured, but still in the game: Toy Agumon (Black). Aside from the anime Digimon, the roster is heavily composed of palette swaps, with 51/219 being recolored versions of other Digimon. It seems that the game design team did not understand why palette swaps were used in the original World. Digimon like Psychemon and Modoki Betamon were created in 1999 to distinguish between playable/NPC Digimon and on-field enemies, which is why there are no playable or recruitable recolors in World. Was anybody really dying to play with Red V-dramon, Gold V-dramon, Growmon (Orange), or Guardromon (Gold)? The issue with -next 0rder- isn't actually the small roster count, as you can make a perfectly good Digimon game using only 219 Digimon, but the poor variety. Palette swaps can be effectively represented by their original counterparts; there's no need for recolored Digimon like Omegamon Zwart or Chaos Dukemon to be included in the game. For Zwart, -next 0rder- introduces a Digimon that could functionally replace him instead of doubling down on Omegamon recolors, and Chaos is always a missed opportunity for Megidramon to show up. Recolors, palette swaps, and variations of the above. The game's roster even puts the original eight Chosen Children's Digimon in order at the beginning of the index, then proceeds to list 02, Tamers, and Savers Digimon sequentially. (In spite of initial enthusiasm for Agnimon and Susanoomon, none of the other Frontier Spirits made the cut.) The Digimon that buck these trends are Piemon and Pinnocchimon, who are curiously absent despite being present in Sleuth. 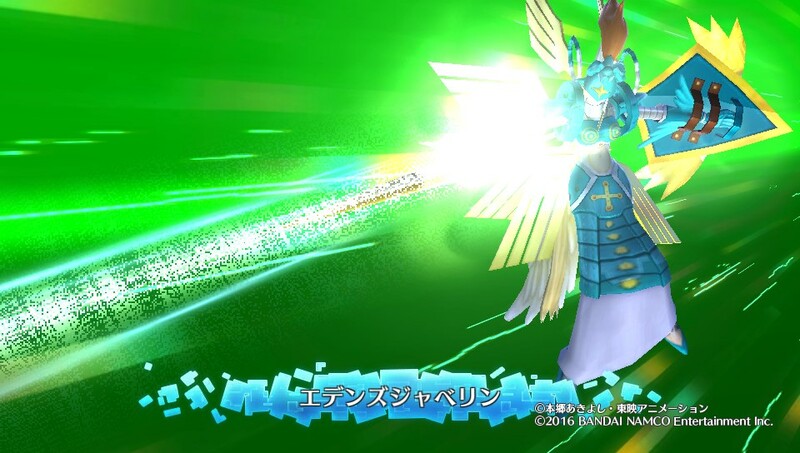 The lack of additional Spirit and Xros Wars Digimon is particularly damning. Wouldn't Shoutmon X7 or Superior Mode be perfect for an ExEvolution? With the game returning to File Island, the likes of Dark Knightmon and Weddinmon would have been sensible additions to reimaginings of old areas like the Dark Lord Mansion and Toy Town. Haven't we relied enough on the Royal Knights and SGDL to fill out game rosters? What about the Warrior Ten, the Olympos XII, or the Crack Team? What about the implied Devidramon-Gargomon evolution line that still has yet to be featured outside the background lore, or more obscure picks like Ex-Tyrannomon? And there's a whole body of fan submissions that won contests to become official Digimon years ago, but have never seen the light of day. When will we finally see Holy Digitamamon in a game? There's an overwhelming number of Digimon that get routinely ignored by the franchise in favor of Yet Another Royal Knight. It's positively obnoxious that we're still dealing with the likes of Metal Garurumon (Black) in light of that, and with so many assets premade for this game, there's no good excuse for limiting the lineup like this. In terms of the game's depth, there are only two sets of special evolutions. If a Child-level Digimon doesn't meet any of its evolution criteria by age 7 it automatically evolves to either Numemon or Geremon depending on whether its Attack or Brains are higher, and if a Digimon poops outside of a toilet sixteen times it evolves into either Scumon or Platina Scumon based on whether its Bond to its tamer is above or below 100. Digimon World had a deep system of death evolutions that were left mostly-unsolved for the better part of seventeen years, providing a new system for tamers to conquer after filling out the core evolution chart. For example, Metal Greymon and Megadramon could death-evolve to Skull Greymon, Angemon to Devimon, and Cockatrimon to Hououmon. (The persistent belief that Birdramon could death-evolve to Hououmon, must death-evolve to Hououmon, was one reason it was so difficult to arrive at an understanding of the system.) -next 0rder- doesn't let you play around with unique evolutions of that kind at all, instead throwing at you a barrage of quick-fix evolution items in the postgame that appeal primarily to fans that want to instantly have a particular Digimon by their side rather than play with the system. There's very little "play" of any kind going on between the player and the game at all. The actual battle system has been revised to give tamers more control right out of the gate rather than forcing them to train to an arbitrary Brains count before they can give direct orders, but the end result is less input in battles on the whole. The new 0rder Point system allows tamers to issue direct commands in exchange for subtracting 0rder Points from the commanded Digimon's total, equal to that command's value. You build up 0rder points by timing your O button presses to the sweetspot in a Digimon's Techniques, gaining more points the closer you are to the moment when damage is inflicted, and the amount of points any given order costs is relative to that Tech's rank. (Finish commands and ExEvolution always cost 150 points.) This contributes towards almost-single button combat, but it's nowhere near as pleasant an experience as say, Zone of the Enders. The number of useful techs in the game is low. Generally your optimal strategy is to equip each Digimon with only one or two of its most damaging possible Techs, and you never need to order them to use those. Individual enemies do not last long enough for you to make use of Finish commands or ExEvolution, so outside of boss fights there's no conclusion to the 0rder Point buildup. And while Finishers are a fine method of damage dealing in those boss fights, when you do get a chance to finally ExEvolve it's incredibly overpowering. The resulting Digimon has upwards of four times the combined hit points of the base Digimon and incredibly inflated stats that make it far less of an interesting gameplay mechanic than it could be. Ultimately, ExEvolution in itself is your win condition, not just a part of your strategic toolkit. It's usually a superfluous one on top of how powerful your Digimon are on their own, at least as far as the default difficulty is concerned. 0rder Points can also be spent on High Tension abilities, which are a type of special action that create a passive effect specific to each Digimon. (e.g. continuous HP regeneration) These tend to be overwhelmingly powerful, but are far from necessary to finish the game. I admit that I personally forgot they existed for an entire chapter, and never had any trouble doing without. My recommendation for World veterans is to switch to Hard Mode the moment you know how to play the game. There are also only seven possible ExEvolutions, with every combination of Digimon evolving into one out of Omegamon, Omegamon Zwart, Imperialdramon Fighter Mode, Imperialdramon Paladin Mode, Dukemon Crimson Mode, Armagemon, or Belphemon Rage Mode. For a handful of Digimon like Imperialdramon DM, Belphemon SM, or Diablomon this looks like a cool way to unlock that Digimon's full potential, but for everybody else it comes off as lazy and once again reinforcing the recolor issue. ExEvolution is made redundant by Jogress already existing within the game, which makes all of these Digimon obtainable as regular partners with only slightly lower stats. 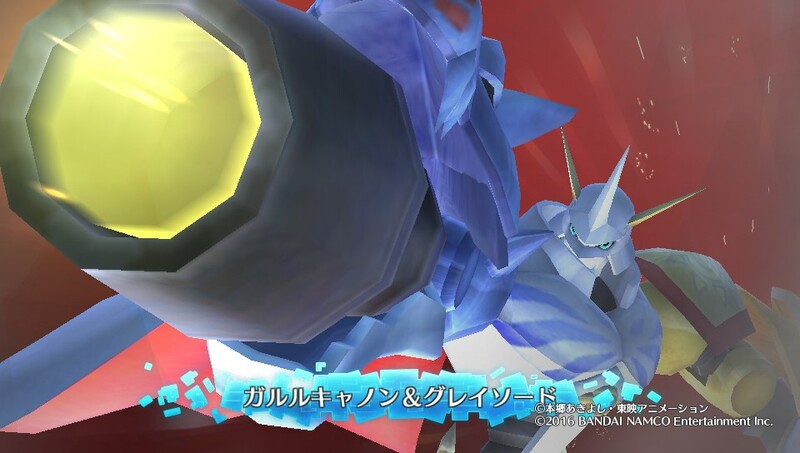 Having both versions of Omegamon and Imperialdramon in there was probably a mistake, as was the insistence on using only Digimon that have at some point been treated as "Super Ultimate" level specifically. Much more variety could have been brought in by integrating Burst Modes and/or X-Antibody forms as possible outcomes of ExEvolution--i.e. Rosemon Burst Mode or Herakle Kabuterimon X-Antibody as representatives for ExEs derived from the Nature element. As things stand, the available ExEs are all fairly boring, and made worse by the game's abuse of Accentier as ExEvolution's theme music. The player is forced to sit through the first minute of Accentier every time they ExEvolve, and this will happen enough times in a normal playthrough that it makes one wonder if this isn't a power up theme so much as it is product placement for Aoi Eir's latest single. In addition to fights not lasting long enough to use them, the Finishers in -next 0rder- are visually underwhelming compared to Cyber Sleuth's Special Skills. Many attacks use unimpressive particle effects and lower-poly models. 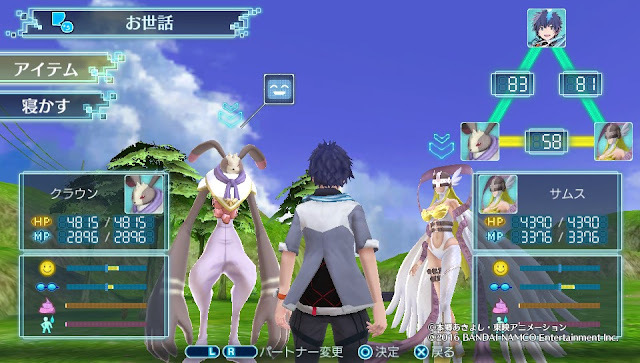 Unlike in Digimon World where you could issue direct commands constantly once you passed a high enough Brains threshold, in -next 0rder- the reliance on the 0rder Point system constantly forces the player to squander their 0P to build up towards their trump cards, and in practice the player has no real reason to use the 0rder Point system at all since they can just equip their Digimon with disproportionately powerful Techs like Heat Breath or (at the extreme end) Jigawatt Laser. Compared to what came before, it's underwhelming. 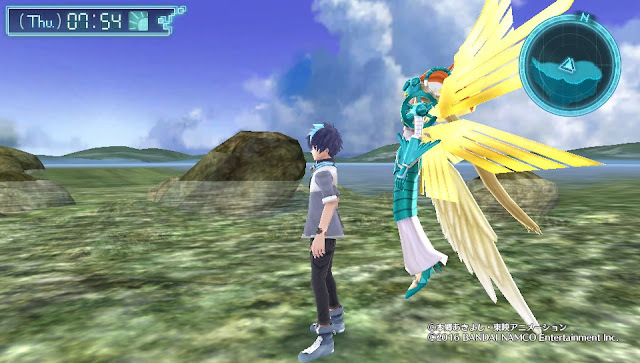 Re:Digitize on the PSP had polished World and established a rhythmic gameplay system where tamers had to quickly time their attack and defend commands to maximize damage output, minimize intake, and throw their items without breaking that rhythm. In that game any buildup towards a Finisher could be stored across successive battles, allowing players to save up their Finishers for particularly difficult fights rather than resetting their progress with every encounter. The attribute system has been modified from World and Re:Digitize. 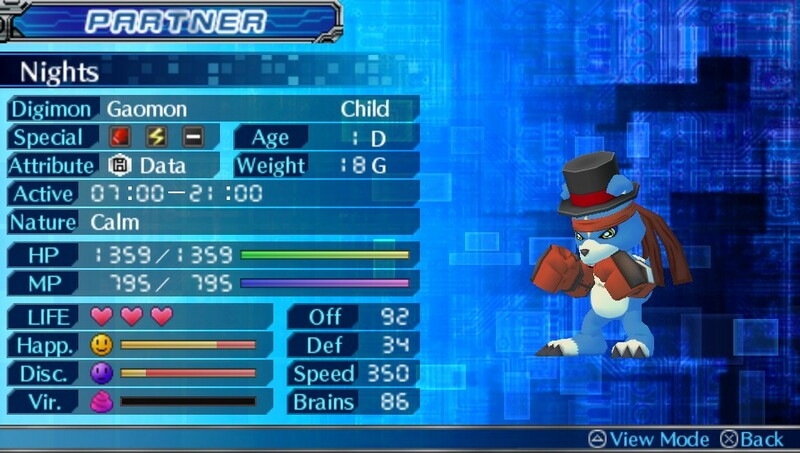 Previously, each Digimon had one attribute (Vaccine/Virus/Data/Free) and up to three Specialties. Specialties both played a role in the damage formula and determined which techs each Digimon could learn. In order to facilitiate easy matching of ExEvolutions, this new system limits each Digimon to a single specialty, and specialties no longer dictate which techs they can learn. This makes techlists less intuitive and appear highly arbitrary in comparison to past games, with Digimon learning multiple techs outside their one specialty, sometimes with no obvious reason as to why they learn them. -next 0rder-'s comprehensive rebalancing of the system is especially perplexing because this is the first core World game to have no multiplayer. World, Re:Digitize, and Decode all had local multiplayer, and there were some hopefuls (myself included, admittedly) that this game would follow Cyber Sleuth's example by adding an online component. Instead -next 0rder- gives us the Battle Server, a poorly-implemented daily battles mechanic that functions more like a slot machine than anything else. Due to the way it's structured, this isn't actually a multiplayer system at all. Both players can be the winner, as they never actually pass signals to one another. The lack of multiplayer calls into question many other decisions, like the choice to have stats cap at four digits (five for HP/MP) instead of the three standardized in past games. There's no logical reason to push the caps another digit when there's virtually nothing in the game to use that standard of power against. If anything, it makes it more difficult to aim for specific evolutions on subsequent reincarnations, because the stat requirements are at such a lower threshold compared to what you're likely to have several cycles in. Suddenly you can only get the Digimon with the highest stat requirements. -next 0rder- is hardly alone in having awful combat and depressing multiplayer; Cyber Sleuth's combat system also suffers from the Autobattle Problem, in that for as hard as the game tries to enforce some level of strategic play, in practice it still boils down to holding right and mashing X. (Imagine the vast strategic depth that could have been added by putting your most powerful moves at the bottom of your list! You would have to do an entire additional D-pad input!) I caught myself nodding off during major fights in both games. But while with Cyber Sleuth, virtually everyone has conceded to a certain amount of inherent drudgery in turn-based battle systems, -next 0rder- chose to mess with a real-time engine that had established a reputation for tension and dependency on regular input from the player. Sleuth's multiplayer may be dreadfully slow and stall-heavy, but it's true multiplayer and not a budget smartphone game. Without such a feature, there's little incentive to explore the game's mechanics in-depth. I'd rather play Digimon Ver. PC again than the Battle Server. Recently, I had the chance to complete Undertale as a sort of graduation gift. I won't derail this too much, but as I was writing my -next 0rder- review, Undertale got me thinking about the relationship between these things we call the "player" and "player character." The norm in a role-playing game is for the player and player character to be interchangable, identical entities who share mutual (if not indistinguishable) guilt for any action they commit within the game-world. For this we have Dungeons & Dragons and/or Wizardry to blame. Within the last fifteen years manipulating the concept of the player character has become an increasingly apparent theme, though it's not by any means confined to role-playing games--it's one of the things that made Metal Gear Solid 2 so unforgettably inscrutable. If a game doesn't do anything with the concept, it's just business as usual and we pay no notice to it. But when a game like Undertale rolls in and toys with this preconception, writing lines that have different meanings depending on whether "you" is read to mean "the player" or "the player character," we notice that sort of thing. The player character in Digimon World is effectively split in two, with the player only having full control over one half of that pair. You, the player, are the protagonist of Digimon World while you are playing the game, but your Digimon is its own separate entity which takes on the job of doing all the violence that the player's hands are normally burdened with. The player's responsibilities are raising their Digimon, keeping it alive, exploring the environment, and doing the talking. The Digimon's responsibilities are responding to care, and resolving conflicts. Because conflict resolution is in the Digimon's hands, the player is absolved from most wrongdoing. This is theoretically similar to Pokémon, but in Pokémon the degree of separation between the human player character and their monsters is much smaller. You give your Pokémon orders, and unless you're going out of your way to subvert the game mechanics in some way, it will always execute them in an exactly predictable fashion as if they were simply an extension of yourself. There's little setting apart Pokémon and Dragon Quest in terms of gameplay mechanics. The same can be said for Cyber Sleuth. In World, the visible split between (nonviolent human) player character and (violent monster) player character is the gameplay element which most distinguishes the game. In 1999, mainstream critics and gamers invariably hated it. In 2016...they probably still will. This is for the same reason that Final Fantasy XII's gameplay system is (rightfully) criticized; layering the player character into different parts removes the immediacy from conflict resolution (combat) and rather than "X=X" the formula becomes "X=Y=X." An unnecessary component is introduced in-between the player pressing the button and an action being executed. Your Digimon is a middleman between you and violence (gameplay) and this slows down the act of play. 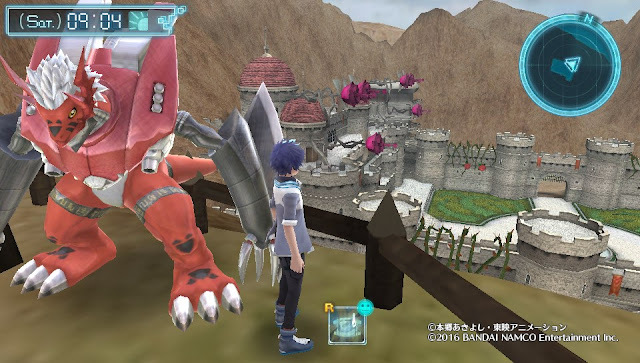 But while in XII this was a strange and out-of-place addition to an RPG franchise that revolved around a certain kind of gameplay, this middleman relationship is the raison d'être of Digimon. Cyber Sleuth, for all it accomplished in terms of quality, was really bad at being a Digimon game. Your Digimon in Sleuth didn't possess the remotest illusion of being alive or having agency of their own in gameplay terms. In -next 0rder-, your Digimon possesses almost too much life--the (nonviolent human) player character may as well not exist for how little influence they carry on gameplay. The difference between how Sleuth and -next 0rder- present a living monster is roughly the same difference one sees in how Castlevania and Legacy of Kain present a vampire. 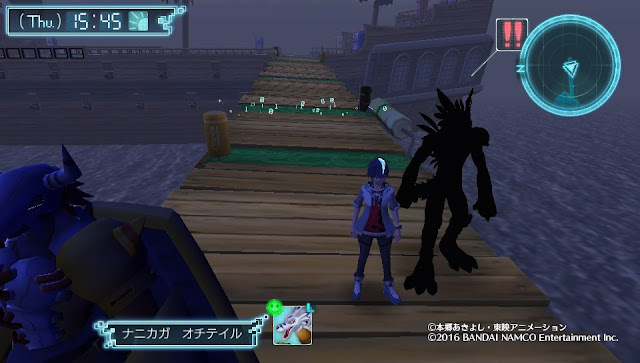 The Digimon's monstrous nature was never a gameplay obstacle in Sleuth. The new training system removes the individual methods that World and Re:Digitize had in place in favor of a single universal training roulette. Where in Re:Digitize you had to do a variety of different timed button presses and dodging exercises to raise your stats, in -next 0rder- everything boils down to stopping a flashing marker at the right moment. This is more of a mixed change. On one hand, it definitely no longer feels like you're actually training your Digimon at a particular skill, as the individual sessions (tree cutting, boxing glove practice, dodging explosives etc.) have been reduced to objects in the background of the gym. But as a gameplay feature, it makes training much faster and more accessible. -next 0rder- also removed normal training, so while "Bonus Try" is no longer rigged against the player, it's also the only training option available. When it comes to exploration, -next 0rder- revises the structure of the Digital World so that the player will be incentivized to revisit areas they've already traversed, but the way it implements this comes off as artificial. There are now color-coded spots on the map that the player can mine for items a certain number of times each day, limited both by the spot and by the player's level of excavation skill (bought using Tamer Points after leveling up). Red spots yield ores, orange spots gold, blue spots water, and green spots timber. These resources are kept separate from their other items and used to upgrade the city's resources further in the game, but the repetitive nature of grinding and the relative meaninglessness this brings to recruiting Digimon works against the game. No longer are your available facilities determined by which Digimon are in town; once you've recruited the first Digimon that opens a facility, your primary goal becomes upgrading that facility rather than finding new Digimon to expand it. The lack of treasure chests means there are comparatively fewer rewards for exploring than in World, and the resource spots instead introduce a new kind of grinding that wasn't in the game previously, while also making the landscape less aesthetically pleasing. The resource grinding is also a redundant game mechanic, as you already have to return to past areas to learn new Techs and harvest specific enemy drops, as well as items that spawn in the field. Speaking of, the unique field spawns have been replaced with generic ingredients used to cook food during camping sessions, a decision I also found reason to disagree with. Only a single area has a food item specific to it, which coupled with the way resource spots are set up, tends to make each region interchangeable farming grounds. When the player revisits an area in World, it's primarily for unique items specific to that area, like the Deluxe Mushrooms in Great Canyon or the Chain Melons in Gear Savanna. When they revisit an area in -next 0rder-, it's because the excavation spots in the area next to it ran out. The Frost Cathédrale, which may as well be called "Missing Secret." The exploration in -next 0rder- is also far more guided than in World, with the player being directed by the cast to specific areas, and Digimon being locked off from recruitment in waves both by plot progression and by which Digimon have been brought to the city thus far. It doesn't necessarily work in the game's favor. One area in particular, "Absolute Zero," is never visited as part of the plot, yet it's the area which most resembles its World counterpart. (Freezeland.) Looking at Absolute Zero's Frost Cathédrale from the outside, one would think that it would house something plot relevant, or connect back to the original game by providing the player with a "guardian angel" like in World, but it's really just a generic location housing a series of interchangeable sidequests. Which points to another issue--the game's quests. 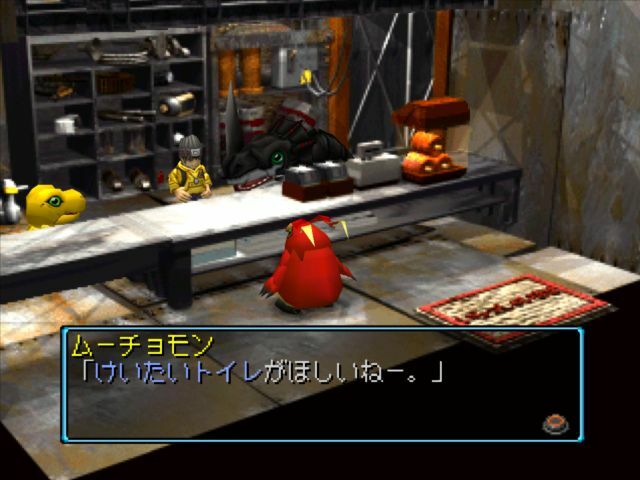 Most recruitment quests are woefully generic, and unlike in World, a significant number of Digimon can only be recruited by forking over an item or number of items. Palmon wants a Smiley Apple, Digi Mushroom, and Shoppa Fruit. Kuwagamon wants a Royal Jelly. Renamon wants a Digikoi. Numemon wants 5 Green Digimushrooms. Seadramon wants one each of Digijako, Digicarp, and Digigoby. Five of the Digimon that you can recruit in the Oogino Wastelands want 20 of a specific type of meat. There's a nauseating number of fetch quests and MMO-style grinds, made worse by the fact that the game -next 0rder- is specifically trying to emulate had none of these. None of the recruitment quests in -next 0rder- approach the creativity of World. It was less noticeable in Re:Digitize where only a few Digimon had quests of that type of associated with them, but in -next 0rder- it's your primary means of recruiting new villagers. The original Digimon World had inventive quests like working part-time at a shop, navigating a physical amidakuji, and raising the right partner so they can act as a translator for one of the recruitable villagers. -next 0rder- reduces every quest down to "fetch me this item," "fight that guy," or "fight me." These sidequests are unlocked in tiers based on where the player is in the main storyline, limiting who they can recruit and how far Floatia's Prosperity can rise at any given point in the game's four chapters. The quests also have no bearing on the main storyline, and instead serve as arbitrary thresholds towards advancing it. Many of the villagers you could recruit in World knew something valuable about the plot and divulged it on being recruited, incentivizing the player to explore new areas and look for villagers on their own so that they could learn more at their own pace. Not so in -next 0rder-, where even the recruitable characters in the last dungeon are irrelevant to the narrative. The relationship between the town you're building up and the storyline you're progressing is at the weakest it's ever been. Instead of recruiting villagers being an open-ended primary goal, it's busywork done because you have no other choice, since the main quests won't advance if you don't raise your Prosperity first. In World, the player is self-directed and self-educated. In -next 0rder-, there's almost always a glowing pointer telling you where to go next, and all direction is given by the non-player cast rather than originating from the player themselves. Credit where credit is due though, -next 0rder- modifies the behavior of the on-field enemies to be far more tolerable than they were in Re:Digitize/Decode. While in Re:Digitize enemies would mindlessly run at you regardless of what level your Digimon were, choosing to keep away only when they were of a weaker attribute (i.e. Virus-type Goblimon sees a Vaccine-type Agumon and keeps its distance), in -next 0rder- all enemies will stay back when you have a significant level lead over them. No more running through a field with Metal Garurumon and getting piled on by hordes of Numemon running to their demise. The enemies are still overly aggressive compared to World. From Romsstar's Re:Digitize English patch. One area where the game unexpectedly suffers by comparison to its predecessors is fishing. Every core World game features a fishing mechanic, as both a way to acquire food without relying on the meat farm, and as a sidequest in its own right. Like Re:Digitize, -next 0rder- simplifies and speeds up fishing. The original World had limited populations of fish (visible as shadows) in each area of Dragon Eye Lake which were susceptible to different types of bait. Once a fish was hooked, tamers had to mash X to reel it in, but also had to let the line go loose if tension went too high, or otherwise risk the line snapping. They couldn't let the fish get too far out from the shore, nor let the tension rise so high the line would snap, so they had to balance their use of tension to wear the fish out over time. Fishing consumed no time from the clock in that game, and its ultimate rewards were a medal and access to lifespan-increasing Digiseabass. Re:Digitize rebalanced fishing, making it take 5 in-game minutes, but also making the fish into randomly generated drops from fishing spots rather than incorporating a minigame. This made fishing a less involved process. 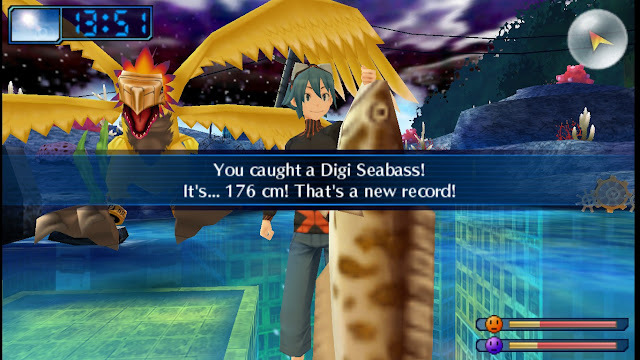 As a concession, tamers could catch different sizes of fish and have them measured, trying to both capture all of the fish in each area and beat the high scores for each species. In that game, the purpose of fishing was as a food source, (extremely lucrative) money source, and to earn a series of titles (the new medal system) associated with fishing. -next 0rder- does something similar but less well executed. Fishing now takes 5 minutes for a failed catch and 10 minutes for a successful one, and the fish are randomly generated as in Re:Digitize, but there's no measuring mechanic or increased sale value based on size. All the player has to do is hit X when their line shows an exclamation point to instantly pull the fish in, to no fanfare. Fishing spots are somewhat more limited than they were in Re:Digitize, only appearing in the Nearby Grasslands, MOD Shop Cape, and Bony 'O Resort. This time around tamers can eventually get a fishing hole of their own back in the city, which expands as more related Digimon are acquired, and the drops from it correspond to those found in each of those Digimon's areas. Despite being better balanced, this is easily the most grindy and least involved of the series' fishing mechanics. It was fun to land a big one in Re:Digitize and see your Digimon cheer for you, and to see the wriggling 3D models--fishing wasn't as involved as in World, but it was more rewarding and there was clearly a lot of effort put in. In this game, fishing is incidental and there's no particular incentive to do it, since the medal/title system was removed and the only fishing trophy is for catching your first fish. Finally, -next 0rder- removed the accessory feature from Re:Digitize/Decode. While a lot of the options in Re:Digitize were goofy, you could make some great combinations like putting a top hat and bow tie on Monzaemon (he's the mayor of Toy Town!) or putting a Monitamon backpack on Renamon. 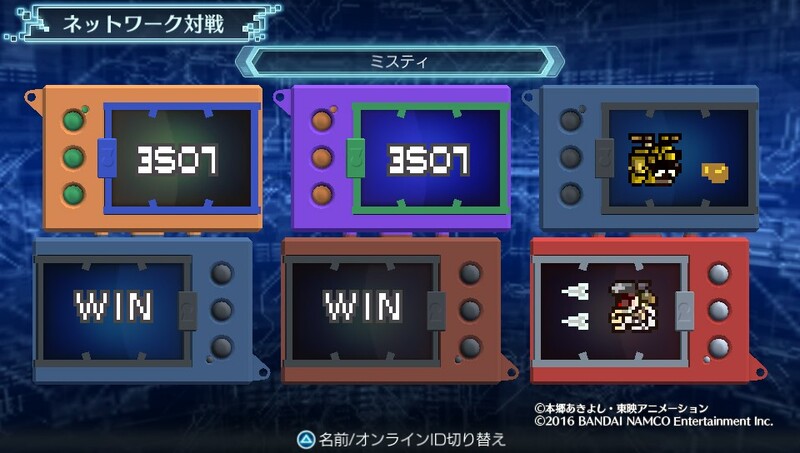 It makes sense that the Digimon customization would join the other multiplayer elements on their way out the door, but that doesn't do anything to erase the fact that those elements shouldn't have been cut in the first place. 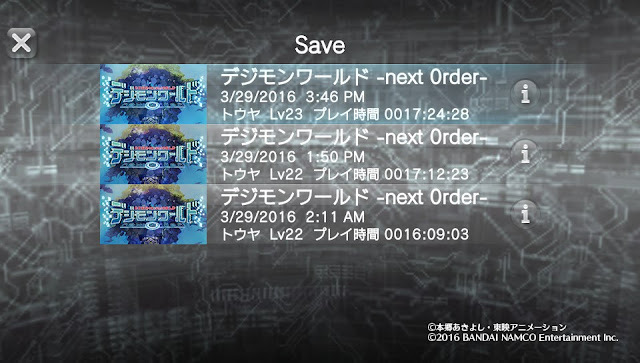 The New Game+ feature from Re:Digitize/Decode is also not in this game. The narrative in -next 0rder- is firmly an excuse plot. The team needed to create a reason for the player to return to the Digital World. In total it comprises just 15 hours of a 60-hour-plus experience, with the main game being possible to finish in just two days of play time. Only 39 out of 100 Prosperity Points are required to unlock the final boss, a bar that's lower than that of Digimon World. The quality of the narrative is the main point of contention. Unlike Cyber Sleuth, -next 0rder- chooses to focus on a somewhat more individual conflict with down-to-Earth issues, yet the mechanism of presenting it is just as dramatic. In a nutshell, it's about childhood memories, nostalgia, and rivalry. The player steps into the role of Shiki or Takuto, a last-year high school student on their final summer vacation. Upon putting their old Digivice* in an arm holster, they're transported into the Digital World, where they find the city of Floatia ravaged by rampaging Mugendramon. 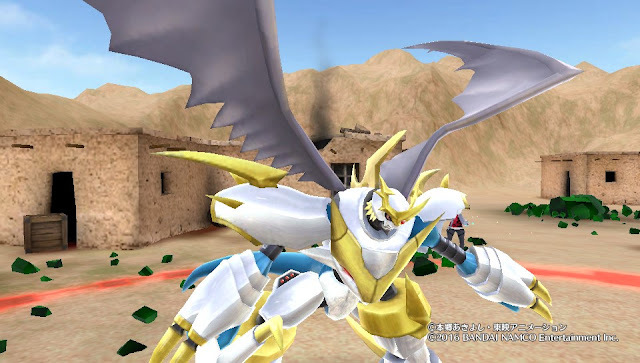 Once the initial battle tutorial is over, it becomes apparent that even the weakest of Digimon are being transformed into Mugendramon copies, and defeating them is the only way to change them back. The player is joined by fellow travelers Oofuchi Himari and Hirose Kouta, school friends who are likewise lost in the Digital World and trying to find their way home. * It's not a Digivice. It's a virtual pet in the style of the Digimon Mini. Every character calls it a Digivice when it's definitely not one, and the original Digimon World outright called Analogboy's toy a "Digital Monster" virtual pet. While Himari is eager to escape and evolves her Digimon at an alarming rate, Kouta harbors a bit of a chip on his shoulder for being unable to contribute much to the team. They're later joined by the amnesiac girl Luche, the only one without a partner, and by the Mystery Man, the only adult in the group, whose partner is currently missing. (His name is an end spoiler for chapter 1, and is given in the first tier of spoilers further down.) The game also guest stars Mikagura Mirei of Digimon World Re:Digitize, Decode, and Digimon Story Cyber Sleuth, who does not appear in person but acts as a holographic correspondent and mission control for the group. Then there's the issue of Tsuzuki Shouma, who acts on his own and seems to have something planned for the team. The narrative is very bare-bones, and there's actually not much to it that wasn't revealed in prerelease information. The only things not spoiled to the public were the exact roles of the Mystery Man, Executor, Shouma, and the ending. Everything we didn't know is essentially dumped in the last ten minutes before the credits role, making for a very unsatisfying narrative on the whole. The nostalgia filter does play a role in the plot, though not nearly what was speculated prior to the game's release--the cast all remember a particular detail incorrectly, which completely changes how the player perceives the game's final antagonist. Aside from these moments, there are no surprises. -next 0rder- is faced with a narrative paradox. 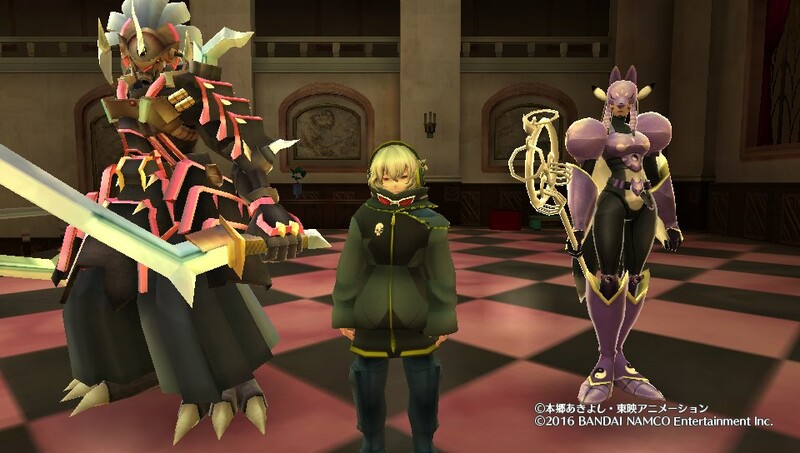 The writing team cultivates a threat that is disproportionately powerful relative to its narrative role; great lengths are gone to to make the case that -next 0rder-'s ultimate enemy is a multiversal threat, who if unopposed will gain dominion over not just the home universe of the Digimon World series, but also that of Cyber Sleuth, Re:Digitize, Adventure, Tamers, X-evolution, Sunburst/Moonlight, and every other. A Kingdom Hearts-level conflict. It's either Mirei or Jijimon that outright tells the protagonist in the final dungeon to "save all worlds." Yet the source of the conflict is fundamentally small-scale and individually driven. The multiverse-conquering antagonist is driven by a children's virtual pet game it played in elementary school. Imagine if in Cyber Sleuth, Yuugo wanted to become the leader of EDEN because he lost to you in one of Bandai's Original Digimon Design fax machine contests fifteen years ago. Like Digimon World, -next 0rder- does not have a main villain until the endgame. It instead rotates through a number of lesser antagonists, each of them having much greater connection to one another than any of the bosses in World. The game is broken up into four chapters, each with a definitive theme and general arc. Chapter 1 is the "wandering" portion in which the cast is gradually brought together as Floatia is rebuilt, during which there isn't any particular enemy antagonizing the characters, but the Digimon-turning-into-Mugendramon "curse" setpiece drives their actions. Chapter 2 sets the game's primary mysteries in motion, develops of Floatia into a thriving town, and introduces several characters that serve as proper enemies for the player. Chapter 3 focuses on developing the human characters, integrates and explains the plot elements introduced in 2, and ultimately progresses the player towards the finale. Chapter 4 resolves all of the established conflicts, and sends the cast home. The postgame scenario mostly exists to flesh out a few last-minute additions to the cast. The issue with this structure is that instead of the characters being built up over the course of hundreds of individual scenes as in Sleuth, -next 0rder- instead shoves each of the character arcs into a few key dialogues. None of the human characters have the same depth as Kamishiro Yuuko, and none of the monster characters have the same depth as Lord Knightmon. There isn't much foreshadowing to speak of, chiefly because there's no time for foreshadowing in a fifteen hour game. The individual issues are also shallow. While in Sleuth you were helping Nokia, Yuuko, and Arata overcome lifelong crises that had plagued them since childhood, in -next 0rder- the conflicts you're assisting Kouta and Himari with are more like issues that would normally be resolved in the same day they first came up. Most of the human cast is also extraneous to the plot, with all of the real conflicts being solved by the protagonist, Mirei, or the Mystery Man. Kouta, Himari, and Luche seem to be there for padding rather than because they're essential elements of the narrative. Luche and Kouta do manage to move one element of the story forward, but the way in which this is done treats them as objects rather than characters. The same things could have been accomplished by simplifying them down to being Digimon rather than Digimon-and-human pairs. Knowing everything you're fighting is a crappy version of something on another continenent tends to undermine the tension. -next 0rder- once again returns to the player to File Island, but being the fourth time around, this element begins to grate. It's made worse by the lack of returning locations, as with the exception of the Frost Cathédrale none of the areas particularly resemble ones from World. Considering the tenuous geographic connection, it's apparent that this series needs to stop treating File Island as if it constitutes the entire Digital World. What about Folder Continent? We've never seen Spiritua Land, the Guardian Savanna, or Metal Empire actually rendered. What about the Server and WWW Continents, or the Demon's Valley? Why not feature the Dark Area as a dungeon? There's a wealth of locations in Digimon's lore that would make great settings for new entries in the World series, but to get there we have to get off of File Island first. The ultimate critical weakness of the game is that there is no meaning to it. Although there are many themes throughout its narrative, there is no uniting philosophy or message that drives the game as there was for Cyber Sleuth. When you ask the question "What is -next 0rder- about?" there are a variety of answers, but none of them comprise a core idea that its authors want to convey. World did have an identifiable message about treating one's friends as companions instead of as disposable tools. Re:Digitize was about the ephemeral nature of life and evolution. Sleuth was about becoming indepedent of cyclical actions (especially violence) and understanding the relationships between us and those around us. 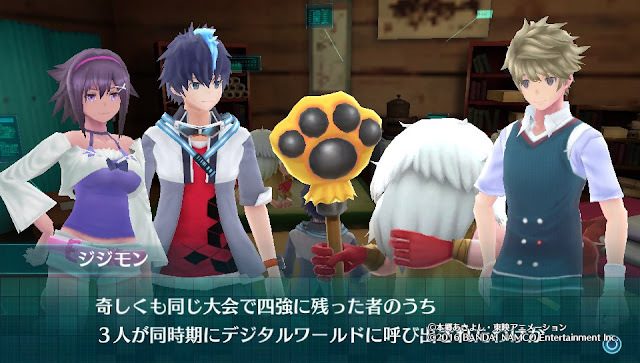 Putting the specific details aside for the spoiler cut, what -next 0rder- executes mostly well is its connection to Digimon World. The staff paid close attention to several details found in the original game, and made tangible connections to them in this one. Just like in World, the game opens and ends with a pair of prerendered cutscenes set in the real world, which act as a framing device around the Digital World. These are the only times that the player character is voiced outside of battles, just as in the original game. When Mugendramon first rears its ugly head in an early cutscene, it's a one-for-one recreation of the sequence leading up to the final boss battle of World, starting you exactly where the previous game left off. 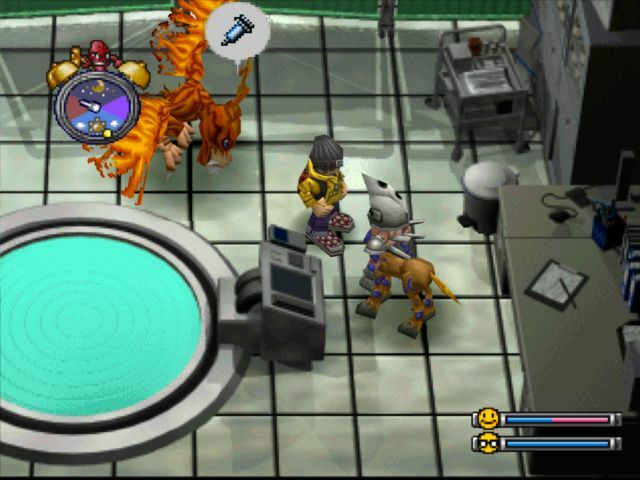 The player being sucked into their Digimon Mini mirrors Hiro being pulled into his Digital Monster dock, and the constant echoing of lines from World (in some cases being direct quotations) help complete the illusion of a seamless transition from one game to the next. There is one significant plot hole that's covered below the cut, but the ideas behind -next 0rder- are sound and consistent. 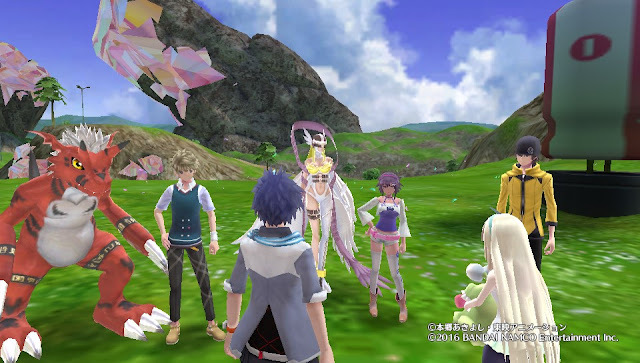 Left to right: Cherubimon's arm, Ophanimon, Takuto, the Mystery Man, Rikka (Angewomon), and Himari. -next 0rder-'s writing team played a dangerous game with their use of the Mystery Man. This guy, which everyone and their Digimon called as being the original World protagonist, is someone about whom the fanbase has had more than a decade to cultivate their own perception of. His portrayal in -next 0rder- is decidedly nonconfrontational, yet still has some outstanding character differences. There's a lingering question of why this character is appearing at all, as he seems to chiefly be a source of exposition. Those that don't mind spoilers will find more detail on this in the chapter 1 cut, but suffice to say that while practically everything about the character is a spoiler, it's also all disappointingly anticlimactic. It's a case of the answer not being as satisfactory as the question. Unlike Cyber Sleuth, -next 0rder- firmly disconnects the player from reality, and the game appears to disagree with past games on to what bearing the real world should have. In Re:Digitize/Decode, the player remained connected to the real world through the game's sporadic news reports. Unlike regular mail, the player was forced to manually download additional news updates at specific terminals if they wanted to know more about what was going on outside the Digital World, and because they were never notified of when those updates were coming, they would have to decide for themselves when to check for new updates. This reinforced the sense of being cut off from the outside by making the appearances of the real world sporadic, player-directed, and in packages of limited information. Ironically, the isolation was amplified by seeing more of the real world than by seeing less of in. In -next 0rder-, the real world for all practical intents does not exist. It has no narrative presence, since it only appears for a few seconds at the beginning and end of the game. This has a mixed impact. 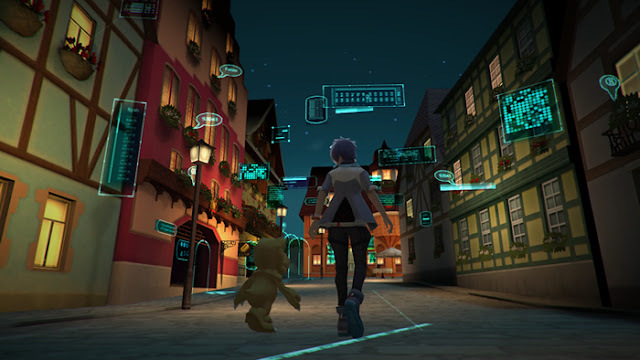 It allows the player to see the real world of -next 0rder- as their own reality and furthers their connection with the game while not contradicting the idyllic Digimon World, but it also leaves them devoid of investment in the goings-on of the outside. 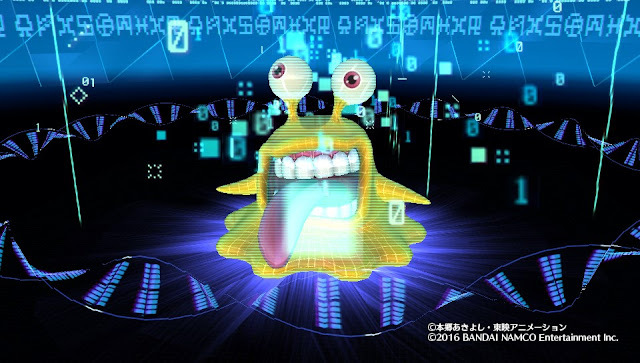 Fictional conceits like the GIGO company don't exist in -next 0rder-, which prevents any breaking of illusion, but it also leaves Digimon's mainstay theme of connections between the digital and analog undeveloped. In all of -next 0rder-, there was only one performance that impressed me. Those that read my Cyber Sleuth review will recall that I was greatly enamored with Han Megumi's portrayal of Shiramine Nokia, as well as Hisakawa Aya acting for two. -next 0rder- brings Han back in an antagonistic role, and she certainly gets to demonstrate her range playing Kuzuhamon, but the real standout among the cast is Okamoto Nobuhiko as Tsuzuki Shouma. Okamoto initially presents a very subdued take on the character when Shouma is first introduced, but by the endgame subverts all expectations with a rambling and highly unsettling delivery that will leave many players reaching for the volume button. The way in which Okamoto gradually transitions from a softspoken boy to a state of mania creeps up on the audience. There isn't a single "jump scare" moment; with each line his delivery puts more stress on qualities already present from the beginning. That mix of subtlety and theatrics is hard to pull off as well as he does. Other than Okamoto, there sadly isn't much to be said about the acting. The performances are good and the delivery is emotive, but the material the actors are working from isn't anywhere near the level of Cyber Sleuth. Itou Kanae was able to cultivate such an emotionally tense portrayal of Kamishiro Yuuko because she was given the opportunity to do so by the writers. By contrast, the voice cast of -next 0rder- are rarely challenged to create anything complex or multifaceted. We get glimpses of what KENN could do as Hirose Kouta, presenting an individual pressured to their breaking point, but when the circumstances are so unbelievable it's hard to get over the poor writing. Most Digimon lose their need to poop upon evolving to Ultimate or Super Ultimate. 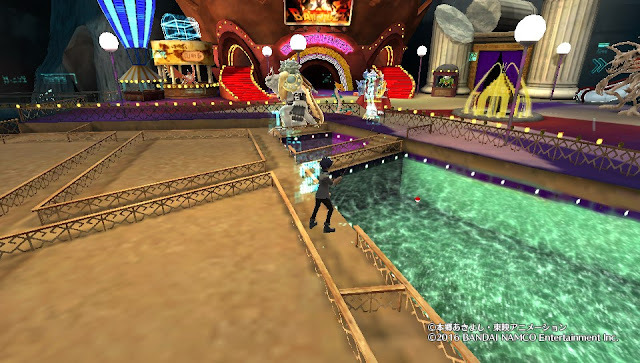 If the player tries to fish at a fishing spot before getting the fishing rod and while being chased by an enemy Digimon, that enemy Digimon will disappear when the notice that the player doesn't have a rod opens, and the enemy will respawn at their default point on the map. 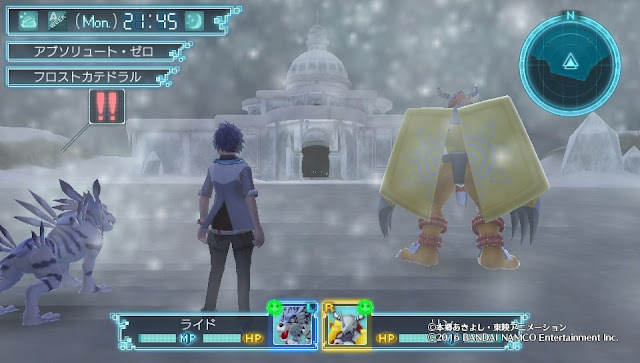 If the player calls their Digimon over to open the Item/Sleep/Camp menu while being chased by an enemy Digimon, that enemy Digimon will disappear and respawn at its default point on the map. The Numemon found at the #2 Electric Power Plant from dusk to night will sometimes float on the air at the start of a battle. This glitch occasionally happens in the Logic Volcano as well. Defeated enemy Digimon will sometimes run into and clip through the walls of a map instead of running to the nearest exit. If the player calls their partner over while in one of the expanded Floatia's more cramped districts, the partners will get caught on the buildings and hang for up to a minute while attempting to walk through it. The player will be unable to open the menu until the partner finally slides into place in front of them. This also works on some of the field maps, including the final dungeon. The player character and their Digimon will sometimes regroup after a battle outside the boundaries of the traversable map, causing them to become stuck in the scenery. This has some interesting results, like standing on an invisible floor over an active volcano. The only way out of this is to use an Autopilot to teleport back to Floatia, or to wait until your Digimon die. Improper lighting configuration around the Power Plant and MOD Shop Cape cause either the player or one of their partner Digimon to become pitch black when passing under specific sections of the map. The upshot of these glitches is that some of them make the extremely aggressive field encounters more tolerable, while the game-breaking ones have at least been patched out by updates. The out-of-bounds glitch was patched out in v1.02, and the floating Digimon issue seems to have been removed as well. Version 1.02, which was eventually replaced by .03 and the current .04 patches. Each patch changes the title screen. A Game Made to be Patched? Several of the issues addressed both above and below the spoiler cut have been patched out by free updates, which brings a difficult issue to the fore. One of the criticisms I originally cited when writing this review was that you never fought certain characters in the postgame, and a patch that came out while I was writing it added those characters as superbosses. And as of v1.03, there are still unused spaces in the city for additional recruitable Digimon, implying that future updates will add even more villagers and functions to the game. Bandai has given no indication of stopping with additional patches, leaving the "final" version of the game up in the air. It seems that Bandai actually distributed an incomplete game to the public, and is in the process of finishing it via patches. Is this practice reprehensible? Would it have been better to delay the game's launch until it was complete? The patches have contributed to sustaining the game's sense of community both in Japan and abroad, and created a different kind of play experience as some Digimon gain or lose functionality between patches. For example, in v1.02 Lord Knightmon could increase a Digimon's lifespan up to 99 days (and this could be repeated to render them immortal) while in v1.03 they could only add one day at a time. v1.03 adding new boss fights excited the game's fanbase and led tamers to flock back to the game world to face another challenge. With the possibility open for further updates, and rumors abounding that Bandai could patch in the missing multiplayer component--which could bump the game's score up by an entire letter grade--it's difficult to settle on a score even two months after launch. 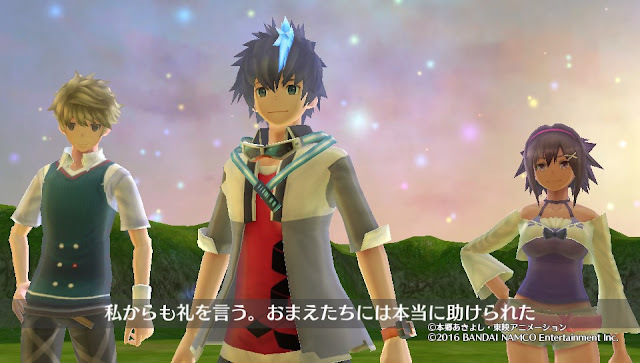 Digimon World -next 0rder- is not the renaissance we were hoping for. But while there are sufficient visual and aural connections to the original game, -next 0rder- continually betrays its true nature with out-of-place elements that clash with the core World gameplay. The game is slow, containing enough unskippable tutorials and handholding that you'll be yelling at the game to stop helping you before you ever get to step out of Floatia for the first time. There's too much Cyber Sleuth in the game, put there by far less talented individuals than worked on Sleuth. The human cast is superfluous, the Digimon are generic with little to no personality, the open world gameplay is constantly at war with the modern JRPG progression, and the battles manage to make the human player practically unnecessary. It has the best narrative text (not speaking of "story" comprehensively, but of the literal written words) and music of any World game, but the weakest gameplay. While a first-time player may feel challenged, by the time they've finished the short storyline, they'll not only have mastered the entire system, they'll be ready to put it down forever. On top of that, there are a number of amateur mistakes and basic quality of life issues. The most obvious of this being that you can't open other applications while -next 0rder- is running, an issue not found in Cyber Sleuth. (This obstructs the use of PlayStation chat or social media features, and prevents uploading screenshots while playing.) 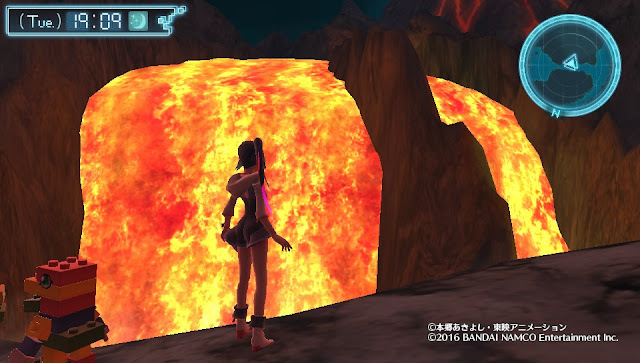 The music resets every time the player crosses onto another map, even when the new track is the same as the previous one, a problem that had been previously rectified by Re:Digitize. And -next 0rder-'s constant call for the player to grind for materials manages to make the Digital World boring, an achievement previously thought unique to the franchise's smartphone games. This is the first time that I didn't want to go for the Prosperity cap in World. I was ecstatic playing through the first game and Re:Digitize, I couldn't stop until I hit 100, and even now I find myself going back to both to for additional medals, more titles, more Digimon, or a higher Tamer Level. Meanwhile I'm thoroughly content to put -next 0rder- in a little box and ignore it. All this brings me to the great conundrum; I consider both Digimon World and Re:Digitize to be better games than -next 0rder-. This is in spite of -next 0rder- being a modern game on a vastly more powerful system with far more budget, a bigger staff, and more Digimon. The reality is that you're talking about totally different teams creating each game, and everyone that did real work on World is dead or has long since been promoted up to work on more glorious projects. Moreover, unlike Cyber Sleuth this game was developed in-house by Bandai, and Bandai is a company known primarily for paying other companies to do their homework for them. This is the best they can do. They're not Media Vision, and they're not tri-Crescendo. They're the company that made Digimon World X.
I love Digimon World. It captured my imagination like nothing else. I went and bought the original V Jump guide so that I could work towards a personal goal of mine to put everything printed about it on one shelf in my library. I wanted to love -next 0rder- as much as I love Digimon World, but the game doesn't make it easy. And it's hard to look at -next 0rder- and think "yeah, better luck next game." There isn't as much depth or replay value, nor is there the same amount of timelessness found in the first World game. No one will call this a classic. If anything, the constant abuse of Accentier as the theme song to ExE-volution dates it terribly. The hardest thing to believe about this game is that it's unremarkable. It's a game that you play, have an alright time with, and throw away. The complaint that Bandai "didn't put effort" into the game simply isn't true. Going by the credits roll, hundreds of people worked on this game. The greatest sin of -next 0rder-, far more than any of the individual quality issues mentioned above, is that it is "good" but "not as good as Cyber Sleuth." The shining new era Sleuth promised won't exist so long as it's not being outsourced to a more talented company. Looking forward, there's a very real concern that we might not be able to go back from where -next 0rder- has taken us. The twin partner system is a radical enough of a change that it may be impossible to step back from it and revert to a single partner system, despite the fact that the twin partner system really doesn't work in practice. 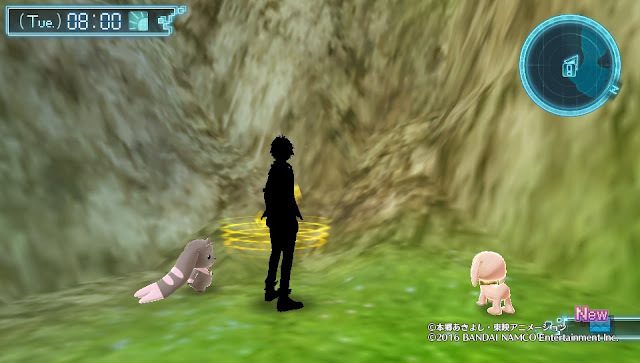 It's understandable that the game design team would want to resume the latest raising sim where the Digimon Twin virtual pets left off in 2007--and -next 0rder-'s narrative also seems written around this idea--but it's hard look at what's been given to us, then look back at the pre-September '15 screenshots of the game and not feel a little remorse at what the game could have been. An early screenshot of -next 0rder-, prior to the big September leak that there would be two partners. When it was announced that this game was coming out on my birthday, after I had put so much effort into tracking and promoting it, I was excited. I postponed my celebration this year to account for the shipping time. This was one of my most anticipated titles of 2016, and the real reason that I got a Vita. The hope for a new entry in the World series was the driving force behind why I wanted to support Digimon in the first place. 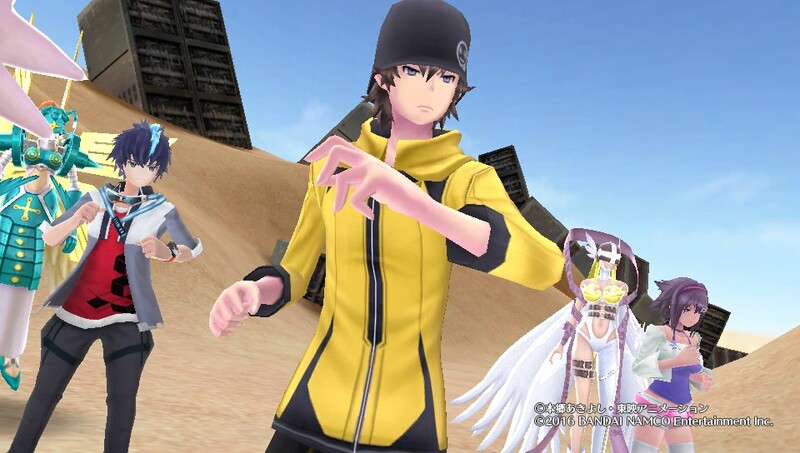 On modernizing Digimon World, after extensive consideration I have come to the conclusion that the team sacrificed so many of the gameplay elements of the original that what they have produced is something unrecognizably different, and certainly not better. They have made it more accessible to general audiences, lowering the bar of entry to acceptable levels; but the lack of depth threatens to alienate that same audience once they get their foot in the door. It's like playing through Pokémon Blue and fing out that the game ends at the third badge. -next 0rder- is not enough like World to appeal to fans of the original, but is also not different enough to appeal to Story fans. It's a jumbled mess of a game that fails to clearly articulate a cohesive play experience. This isn't to say that it's unenjoyable. It's very much enjoyable. But you'll come out of feeling hollow, and wishing that there was more to it. It lacks the depth that can keep people engaged for fifteen years. I'll certainly buy the game a second time provided that it comes stateside, but when support for it and the Vita end, I'll have no reason to ever touch it again. That level of transience is appalling coming from a work that's trying to inherit World's legacy. Unlike Sleuth, this game definitely doesn't come close to accomplishing everything it set out to. I'm left staring at my Vita, dreading the idea that I will have to play this game yet again for my Let's Play of it. This is the sort of game that instills a certain anxiety about the franchise's future. To take a long perspective, while Cyber Sleuth was either the second best or best Digimon game overall, -next 0rder- clocks in at fifth place. That's still many places above the historically most dangerous entry in the franchise (Championship) but -next 0rder- is mediocre enough that it makes one fear for what the future could look like if it were localized and received poorly by the public. It would be preferable for the west to finally receive Decode before the 3DS' lifespan comes to an end than for -next 0rder- to sink the brand's fragile reputation overseas, which has only been barely restored by Sleuth. Chapter 1 spoilers below this line.